There were two prominent turbaned Sikhs at an Islamic finance event in Dubai yesterday. Securities Commission Malaysia Executive Chairman Ranjit Ajit Singh and Franklin Templeton CEO/Country Head for Malaysia Sandeep Singh were both seen in action in a forum at the sidelines of the 10th World Islamic Economic Forum (WIEF). They were at the Franklin Templeton Investments’ first Islamic forum in Dubai held on Oct 27. 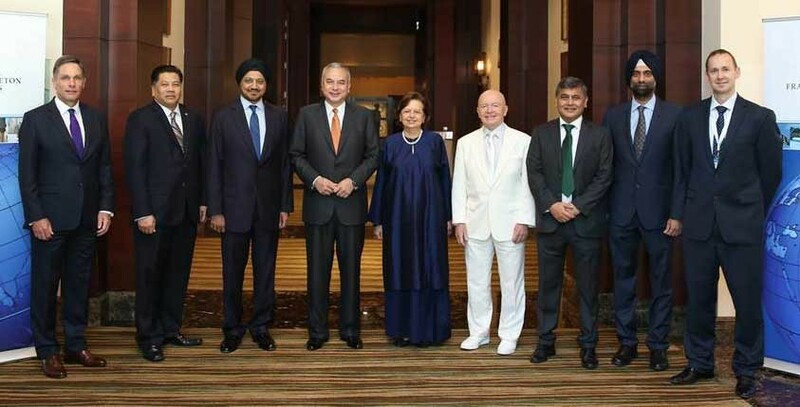 Also present were Malaysia’s central bank govenor Dr Zeti Akhtar Aziz and big time emerging markets fund manager Mark Mobius. Ranjit Ajit, who carries the honorary Malaysian title of Datuk, is no stranger to the Malaysian corporate and finance world. He took on the present role as the regulatory body chief in April 2012, after being with the body for some two decades. Sandeep, who graduated with a bachelor of engineering (mechanical) from the Punjab Engineering College in Chandigarh, India, joined his present firm in 1998. He moved from Franklin Templeton’s Mumbai office to Malaysia in 2009. In a separate event on the same day, the SC had exchanged a MOU with UAE’s Securities and Commodities Authority (SCA). Seen in the photo above: Ranjit Ajit exchanging the MOU documents with UAE SCA CEO H.E. Abdullah Al-Turifi. 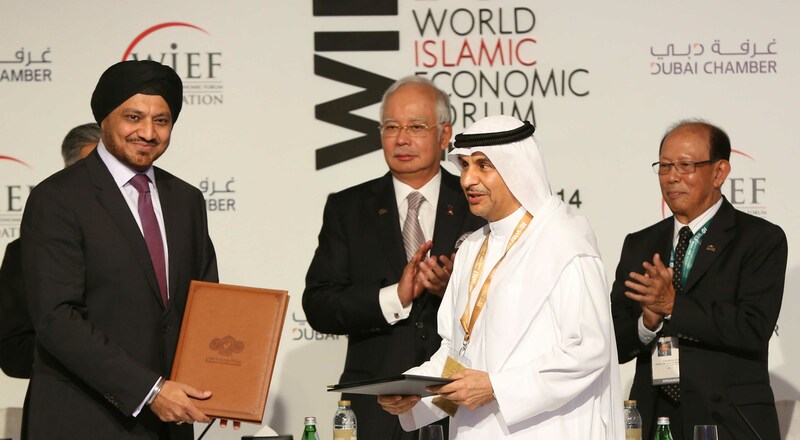 Prime Minister of Malaysia Najib Tun Razak (middle) and WIEF chairman Musa Hitam witnessed the ceremony. FRANKLIN TEMPLETON DUO: From left Stephen Grundlingh, co-CEO & Regional Head of Southeast Asia for Franklin Templeton; H.E. Dato’ Ahmad Anwar Adnan, Ambassador of Malaysia to UAE; Datuk Ranjit Ajit Singh, Chairman of Securities Commission Malaysia; HRH Sultan Nazrin Muizzuddin Shah, Sultan of Perak Darul Ridzuan; Tan Sri Dr. Zeti Akhtar Aziz, Governor of Bank Negara Malaysia; Dr. Mark Mobius, Executive Chairman of Templeton Emerging Markets Group; Dhiraj Rai, Director of Gulf & Eastern Mediterranean for Franklin Templeton; Sandeep Singh, CEO & Country Head of Malaysia for Franklin Templeton; and, Adam Quaife, Senior Director of Central and Eastern Europe & Middle East for Franklin Templeton. Previous articleDeras & Babas: Why So Many?